Every Friday I put aside some time to create something new. 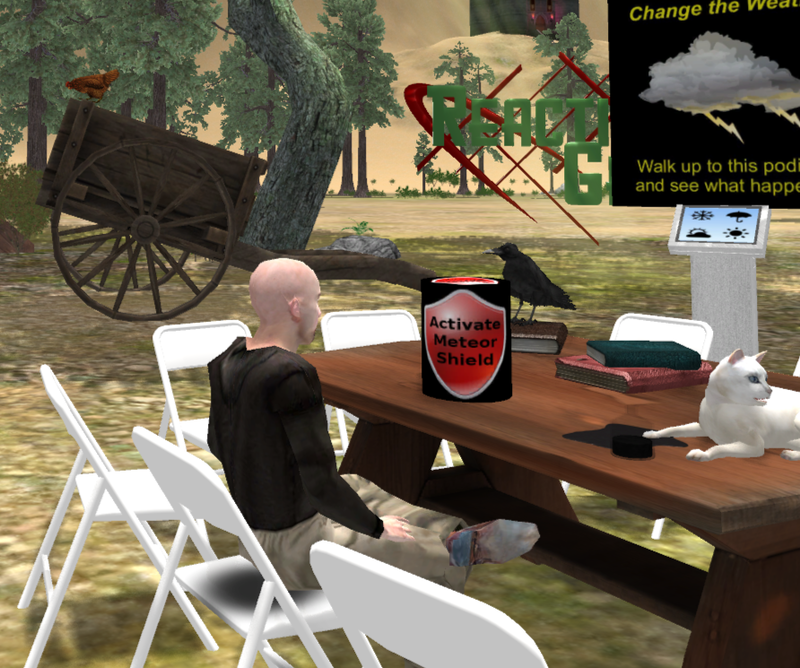 My goal today was to build a simple new experience in my Jibe world that was exciting and immersive. Pick a fundamentally exciting immersive experience to simulate. If you pick a boring experience, no amount of work on your part will ever make it exciting. I decided to create a meteor shower. In my experience, hunks of rock falling from space and exploding around you are never boring. Spend quality time on sound design.Our lives are full of sounds. It’s a critical way we perceive our surroundings, and thoughtful sound design is just as important as thoughtful visual design. I explored Freesound to find sound samples that I could pull into Audacity to modify and combine. 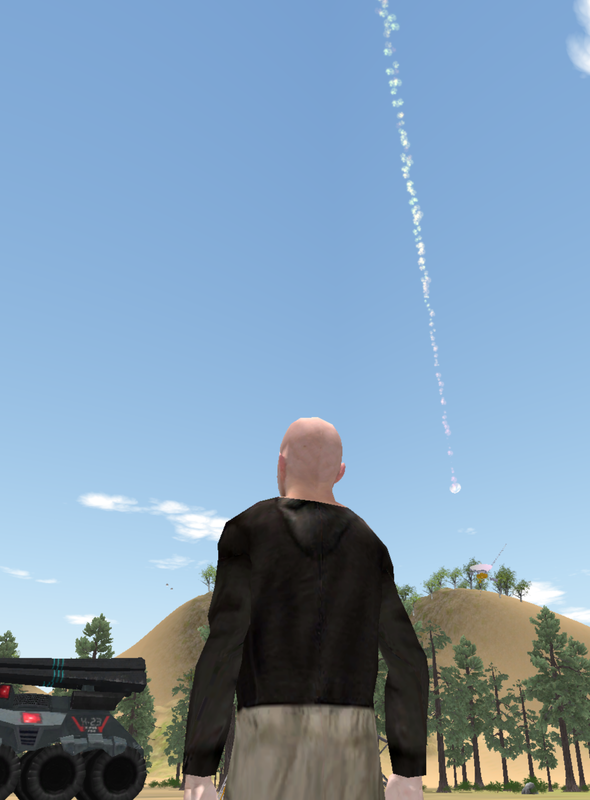 In the end, I had a nice collection of sounds to simulate all the different parts of a meteor shower experience (explosions, falling sounds, air raid siren, etc.). Leverage what others have created.There’s an amazing wealth of content out there for designers. Use what others have created as stepping stones to building your own unique experience. You’ll save tons of time and money. I found a nice particle system on Unity’s Asset Store that included a lot of Outer Space effects. From this starting point I was able to quickly create my own unique meteor effects. And Freesound provided all the core sound samples I needed. Finally, I made a sign in my Jibe world and scripted it to start the shower when someone clicks it. Dinosaurs coming in Version 2.0. I promise. 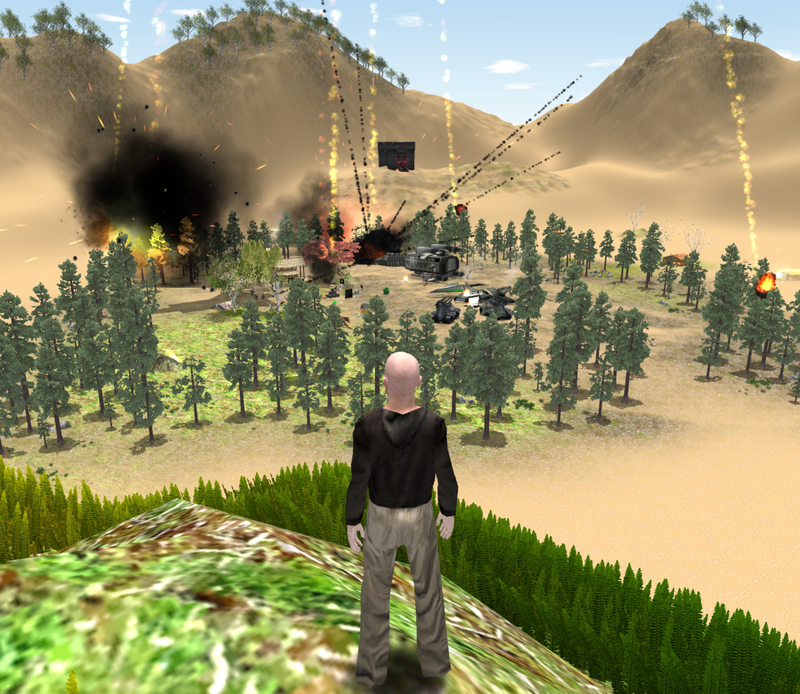 You can visit my Jibe world and try it for yourself. 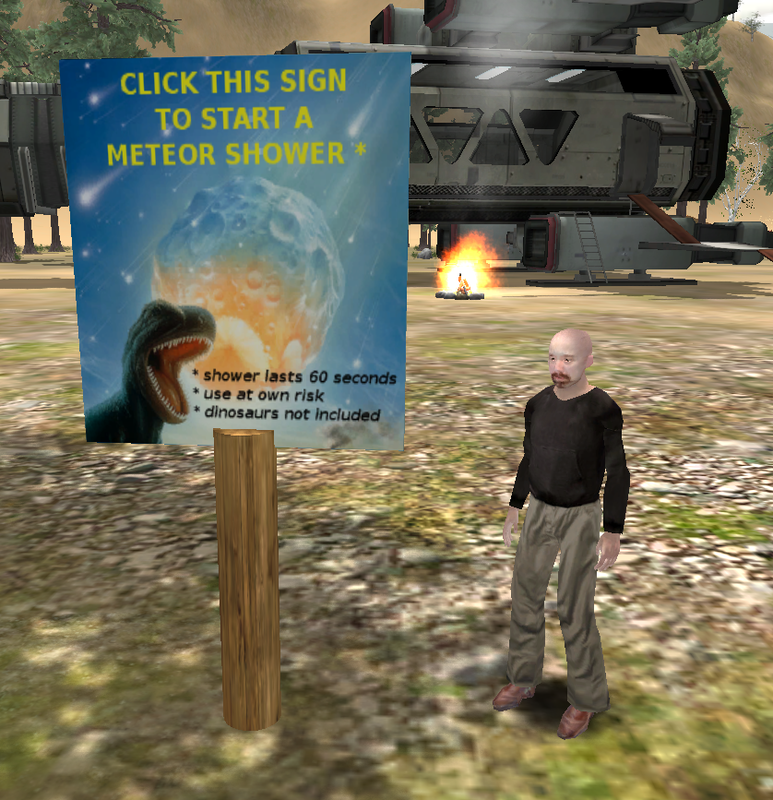 Click on the Windmill teleport button for a good view of the different types of incoming meteorites. 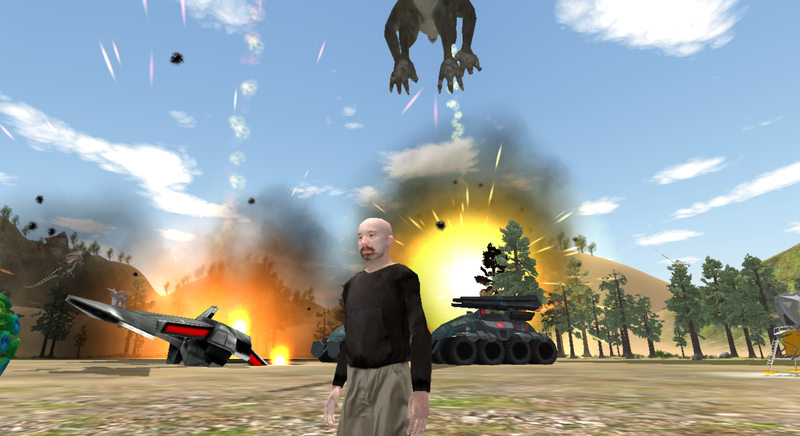 This entry was posted in Announcements, Jibe, Unity3D and tagged design, dinosaur, Jibe, metaverse, meteor, online communities, pioneers, ReactionGrid, sounds, Unity, Unity3d, virtual worlds by John "Pathfinder" Lester. Bookmark the permalink.